High-performance security with advanced, integrated threat intelligence, delivered on the industry’s most scalable and resilient platform. 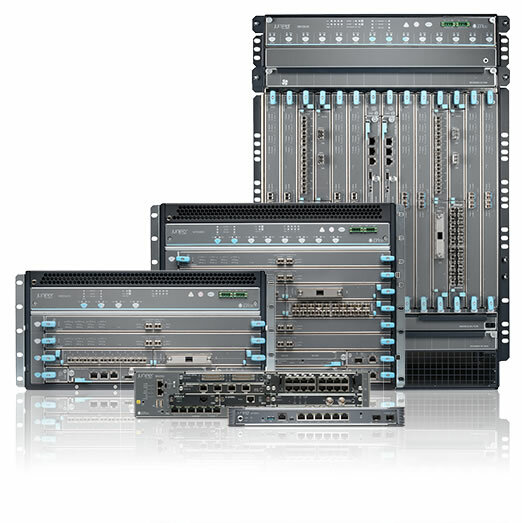 SRX Series gateways set new benchmarks with 100GbE interfaces and feature Express Path technology, which enables up to 2 Tbps performance for the data center. 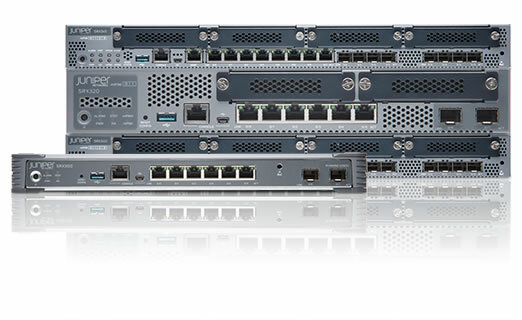 SRX300 Services Gateways combine next-generation firewall and advanced threat mitigation capabilities with routing, switching, and WAN interfaces to deliver cost-effective, secure connectivity across distributed enterprise locations. The SRX550 Services Gateway is a robust, highly flexible solution for next-generation security, delivering enterprise-class networking for protecting today’s medium-to-large branch locations. SRX1400 Services Gateway is the ideal platform for securing small to midsize enterprise, service provider, and mobile operator data center environments. The SRX1500 Services Gateway delivers high-performance, cost-effective, advanced low-latency network security at distributed enterprise campus locations, as well as for small to medium-sized data centers.